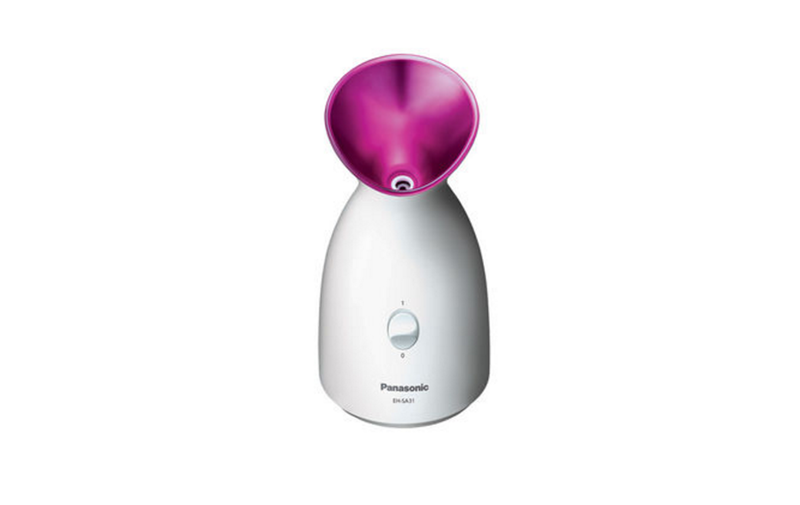 The Facial Ionic Steamer from Panasonic operates with one push of a button to release warm nano-sized steam for six minutes. Simple operation allows for easy skin care on a tight schedule and enables everyone, beginners included, to enjoy a spa treatment at home. Use as a makeup primer or deep cleansing, the choice is yours. The design is both stylish and compact, fitting to any interior. 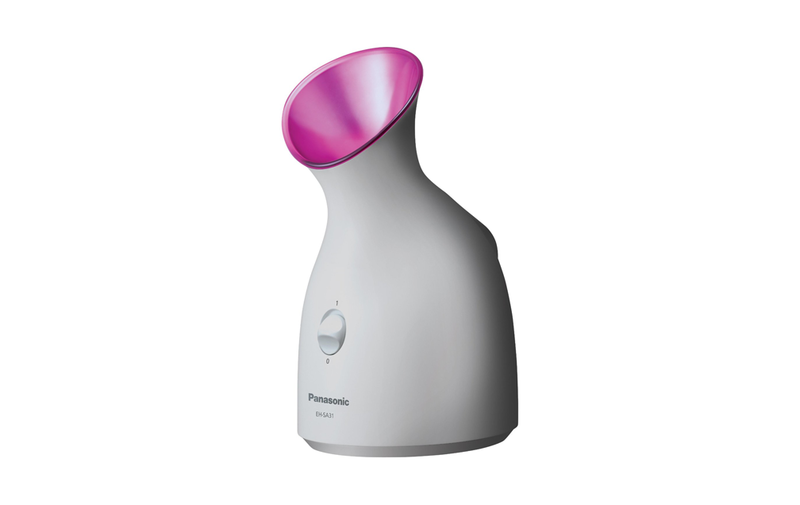 Relax with the Panasonic Facial Ionic Steamer, which gives you a spa-quality facial in the comfort of your very own home. Use it daily so you can have softer skin and have an easier time applying makeup. Replenish the natural moisture in your skin to maintain a beautiful, natural-looking complexion. 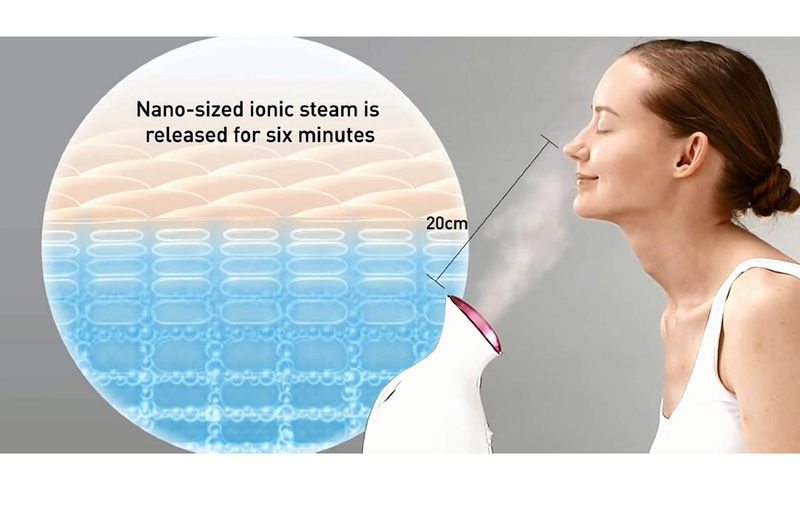 The Facial Ionic Steamer produces an ultra-fine, particle steam that is 4,000 times finer than normal steam, allowing a deeper penetration into the skin and effectively supplementing the skin’s moisture. 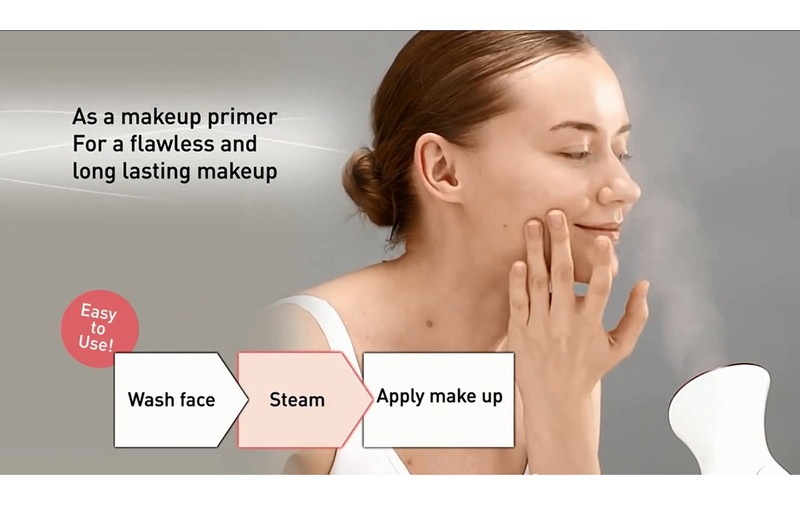 The process of nano-steam not only provides a thorough cleanse, but also calms and softens your skin, while makeup, dirt and other impurities are purged from the pores. 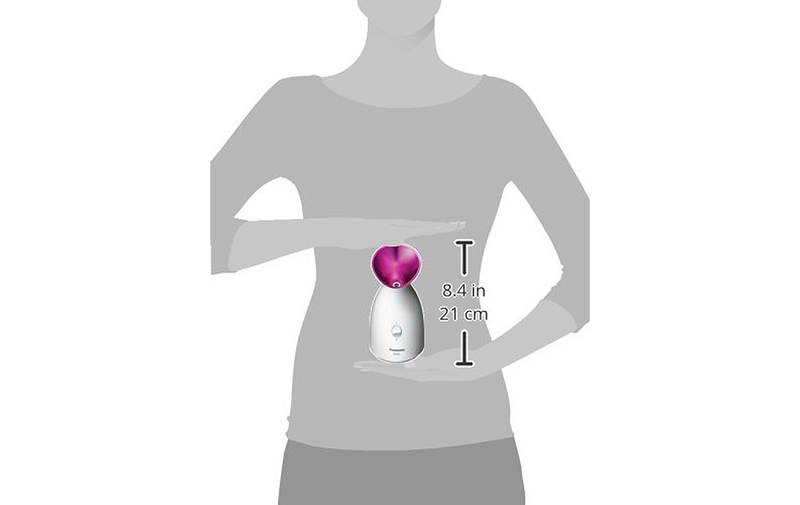 A simple push of a button is all it takes to start the six-minute, at home spa treatment and generate a soothing wave of steam particles. In practically no time, the skin is soothed and refreshed with a total facial treatment. It is simple skin care perfect for everyone, especially those with busy schedules. 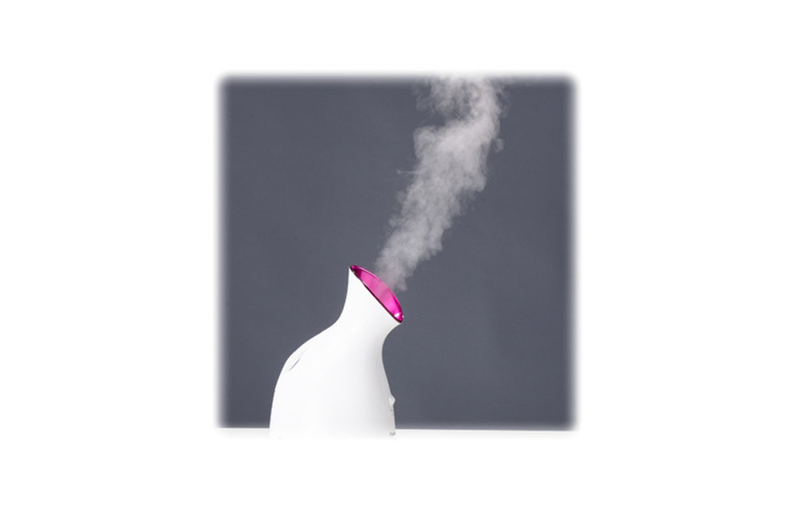 The design is sleek and modern, comprised of a white vessel base topped by a fuchsia steam portal. The design brings together form and function to compliment any surroundings, be it your bathroom, makeup table or dressing area. 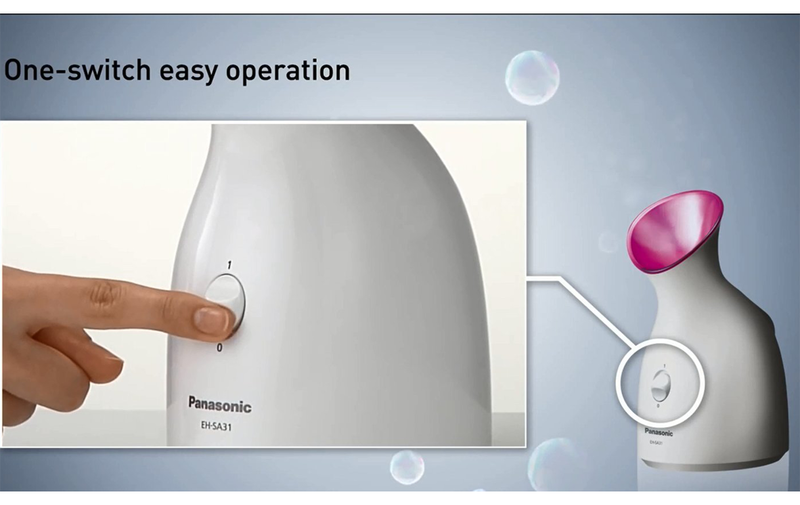 Beautifully designed, the Facial Ionic Steamer is compact and easily stored alongside other beauty tools. 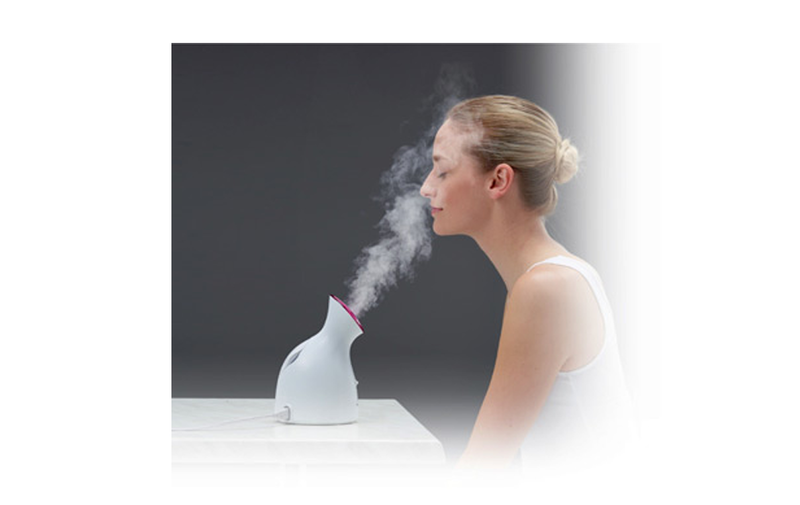 Let the nano-sized particle steam of the Facial Ionic Steamer refresh and cleanse your skin today.